Who Is Judge Roy Moore? Judge Moore is the Alabama Supreme Court Justice who refused to remove a monument of the Ten Commandments from the Supreme Court building. And while Judge Moore is condemned as a Fundamentalist Christian who is attempting to involve government in religious affairs, what I will demonstrate is that Judge Moore is the embodiment of the Laws that have developed and protected this Nation and made it the Light to the world in which it has been for over 200 years. Those men of wisdom who formed our Constitutional government would say to the people today: "O my people, they which lead thee cause thee to err, and destroy the way of thy paths... my people have gone into captivity, because they have no knowledge" (Isa 3:12; 5:13). Our forefathers who were Diests, knew and understood the Laws -- i.e., how both people and governments are controlled by the Laws of Nature and Nature's God. If we ignorantly reject and condemn the Laws that Judge Moore embodies, we will in effect invoke other Laws that will condemn the American People to a future that will be the opposite of freedom and liberty. It is time for all Americans to know what our forefathers knew, so they will be given the opportunity to make an informed choice with respect to their own future -- not only in this life, but in lives to come. At the beginning of our Common Era, I lived as Jacob who you call James. At that time I was known as the brother of Yeshua/Jesus, and I was the first and primary leader of the New Covenant Movement known as TheWay (The Way). 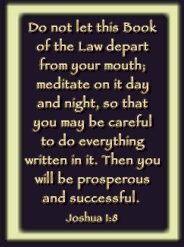 This web site on Law, and the coming destruction of America and the Constitution, is based upon my Spiritual Knowledge and Understanding of the Laws that control life here on earth. On this web site I pay particular attention to the United States and the Constitution, because both myself and the original disciples of Yeshua/Jesus have entered into this world many times in order to bring about changes for the good of mankind. Thus, as a group we entered into life in the 1700's in order to change the course of men's lives in this world, and form a government that was founded upon Spiritual values and structure where freedom, genuine knowledge and wisdom could flourish. As a group, we created a Constitutional form of government where man could draw closer to his own higher spiritual reality. But like the religion which today calls itself Christian, man soon corrupted the foundation of the Constitution in much the same way the Church is corrupted today (see http://ebionite.com/prologue.htm ). The third century Church Father Origen wrote: “Every soul... comes into this world strengthened by the victories or weakened by the defeats of its previous life” (Origen, De Principiis). 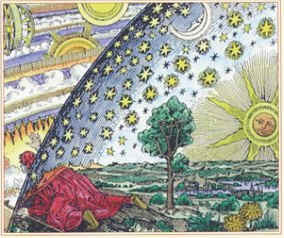 And once properly understood, the parable of the prodigal son is no different than the concept of the soul that evolves to perfection over the course of many lives as expressed in the Zohar, the foundation of Jewish Mysticism where it states: “All souls are subject to the trials of transmigration; and men do not know the designs of the Most High with regard to them… The souls must re-enter the absolute substance whence they have emerged. But to accomplish this end they must develop all the perfections, the germ of which is planted in them; and if they have not fulfilled this condition during one life, they must commence another, a third, and so forth, until they have acquired the condition which fits them for reunion with God”. And since it is not my objective in this article to prove that Yeshua/Jesus taught that the soul evolves to perfection (Matt 5:48) over the course of many lives, and the true depth and meaning of the Bible cannot be comprehended with the doctrine of reincarnation removed, I will refer those readers who desire to learn about the Jewish and Christian belief in reincarnation to the article on The Unanswerable Question. We are the prodigal sons/daughters who each Fell from the Garden of Eden when we ventured out into this world which is portrayed in the parable as the "far country". Great emphasis was placed on the two natures of man by the first Christians. At Genesis 2:7, the Wycliffe Commentary writes: “Man's body was fashioned from the dust of the ground, while his spirit came from the very ‘breath’ of God. He is literally a creature of two worlds; both earth and heaven can claim him”. More importantly, though, is for us to clarify our understanding of when the soul came into existence. Thus, the Jamieson, Fausset, and Brown Commentary notes the belief of both the Jews and early Church: “The... views of Origen and other Fathers, and the... Talmudists, that all souls had been created ‘in the beginning,’ and were lodged by God in a certain place, whence each one was taken out to inhabit the respective bodies of individuals”. In this respect, it can easily be demonstrated the first followers of Christ firmly believed that the soul pre-existed the body, and that our present physical forms are mere vessels that we inhabit during our sojourn in this life. While most secular scholars and religious authorities promote their own brand of philosophy, truly enlightened visionaries know that man is immersed like a fish in a sea of Laws that control his every movement and experience of life. Since the dawn of time there has been a struggle between the forces of Light and darkness -- and in most instances the people who are political/religious leaders at present, were the very same souls who were political/religious leaders in the past. Moreover, because these leaders are locked into a karmic pattern of thinking, this same pattern often continues from life to life to life. People such as Bill and Hillary Clinton immersed themselves in politics, because they have held positions of leadership in their own past lives -- it is what they crave. In much the same manner, George W. Bush was born into the Bush family dynasty, because he too has be in a similar position in the past. Moreover, those from the left and right who hate these leaders, have hated them throughout many lives. What this means is that we are at present reliving the past, and if we are not careful, the past will come back to haunt and even enslave us. From life to life people invoke Laws -- and it is these Laws that our Diest forefathers spoke of in the Declaration of Independence and the foundation of our Constitution. As stated in Part I of this series (see http://law.brotherofyeshua.com/Constitution.htm ), the very same souls who lived as the physical disciples of Yeshua/Jesus entered into this world in the 18th century to create a government where true Spiritual Knowledge could manifest in the necessary free society that forms our Constitution. And in the same way that the teachings of Yeshua/Jesus quickly became corrupted and defiled (see http://ebionite.com/prologue.htm ), so too did the forces of darkness and corruption quickly move to defile the foundation of the United States Constitution. Among the many truths and realities that our politically correct modern-day philosophy is totally ignorant of, is the fact that individual and groups of souls embody Laws when they enter into life. What this means is that the very souls who authored our Constitutional form of government that acknowledged each person's unalienable God-given Rights, brought this free nation about by virtue of the Laws that their very presence manifested -- both individually, and as a group. What this means is that each individual is imbued with their past life accomplishments -- i.e., the words of the Church Father Origen who wrote: “Every soul... comes into this world strengthened by the victories or weakened by the defeats of its previous life” (Origen, De Principiis) -- and this is accomplished because they (unconsciously) invoke the Laws of their past in the present. Where critics will dismiss a faith healer because only certain individuals can invoke this power, this is because the critics never developed this ability in their own past lives. So while the majority of faith healers do not understand the source of their power to heal, neither do the critics understand why they can't do what another person does. What this equates to is the fact that while we were all created equal, because of our past life experiences, we are anything but the same. It is said that Bill Clinton wanted to be president since the time that he was a young boy, and he set about to form his life to achieve this goal. So what we must understand is that in the same way that the Laws enable a faith healer to heal because he has lived this role in his more distant past, so too did the Laws enable Bill Clinton to relive his more distant past. Moreover, while there exists a great number of young boys who want to be president, because they have not developed the Laws in their past, their road is not paved with the same success as someone such as Bill Clinton. Why? Because Bill Clinton is able to manifest the Laws that bring his political success about. But who was Bill Clinton in the past? While he presently lived as an American President, his philosophy and political positions were merely carried forward from his own past -- and thus, while he attained to the position of president, that does not mean that he functioned within the theme of the Constitution. As an example: Our Constitutional forefathers perceived the Right to bear arms as necessary to maintaining a free state -- and yet, Bill Clinton did everything he could to eliminate this Right of the people. Many times when people have permitted Spiritual God-Given Truths and Rights to be corrupted, the Laws are invoked that takes these Truths and Rights away from a undeserving people. What this means is that the American people who have been given this God-Given Gift, and have permitted this Gift to become corrupted, will lose the Gift what was provided to them by the forefathers of this Nation. And in the same way that the Laws made Bill Clinton president, so too will the Laws bring about the destruction of this country which is built upon the Constitution -- and this will be accomplished by bringing about a situation where a soul who is imbued with the original Laws is persecuted by those who are presently in political power. And in the same way that an uncountable number of young boys may desire to be president, but because the Laws that would bring about this realty was never developed in their past, so too does the denial and persecution of that many not have the power to change the direction of the country. Yet, this is not the true in the case of Judge Roy Moore who himself lived when our nation was formed, and entered this life imbued with these Laws that have the power to further or destroy our Constitutional foundation. In Roy Moore's own words: "Have we become so ignorant of our nation's history that we have forgotten the reason for the adoption of the Bill of Rights? It was meant to restrict the federal government's power over the states, not to restrict the states from doing what the federal government can do. The time has come to recover the valiant courage of our forefathers, who understood that faith and freedom are inseparable and that they are worth fighting for …" (Alabama Supreme Court Chief Justice Roy Moore). These words of Judge Moore are true! Moreover, as demonstrated in Part I of this series (see http://law.brotherofyeshua.com/Constitution.htm ), these words represent the very essence of original Constitutional intent. And while they may have been spoken by many other people, Judge Moore is imbued with the Laws that can advance or destroy our Constitutional form of government. A Stalinist Russia Type Government? HOMESCHOOL: Most Americans cannot be bothered to oppose the fact that their God-Given Rights are everyday being done away with. The above words by Judge Roy Moore can be demonstrated to be correct -- but the majority of people don't care. They remain silent when the government uses the power derived from the people to homogenize the thinking of our children in public school systems. In California they permit the government to make war on homeschoolers who attempt to keep their children out of an educational system that has no moral or spiritual values or substance. Thus, the majority of people close their eyes to the wholesale government abuse and harassment of parents who attempt to invoke their God-Given Unalienable Rights. Yet, it is a wholesale abridgment of fundamental Constitutional Rights for a secular society to be able to dictate to a religious people how they should rear their children. 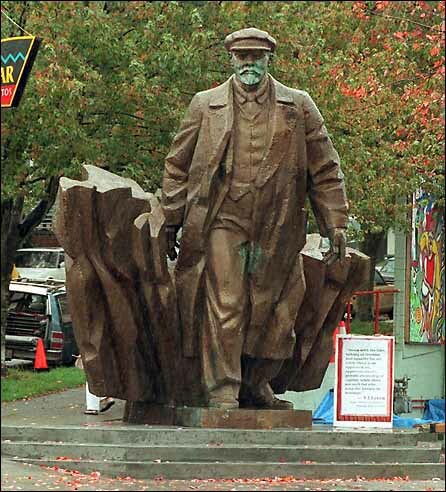 STATUE OF LENIN - THINGS TO COME: While the socialist and communist left is ever consumed with the removal of every religious icon from the public square, they actually have installed a sixteen foot, seven ton statue of communist leader Vladimir Lenin, in the Fremont section of Seattle. That’s right, Lenin, the monomaniacal despot who laid the groundwork for 20th century communism, during which upward of 100 million people worldwide in labor camps, mass executions and midnight raids by secret police. As the opening of the Soviet archives has confirmed, Lenin's favorite order was the one given to execute. His infamous opinion has now been engraved in the historical record: that the greatest mistake of the French Revolution, which Lenin stressed must not be repeated by his Bolsheviks, was that not enough people had been killed. Under Lenin's Marxist government, religion is abolished, and individual freedom and liberty gives way to a sovereign state. More importantly, every day more and more icons associated with our Constitutional form of government is being either removed from the public arena, suppressed because of political correctness, or written out of our history books we use to teach our children. In New Jersey the schools are no longer required to teach about the founding fathers. 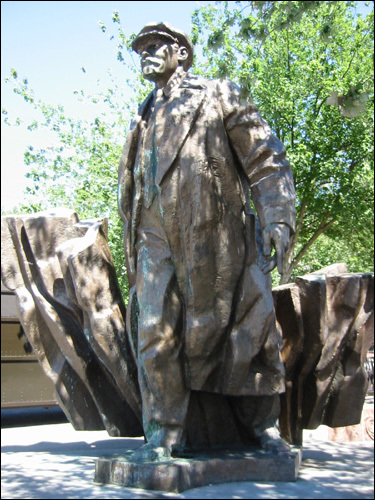 Like Lenin's communistic vision of government, abiding eternal truths, morality, and even spiritual standards are all abolished and done away with -- a process which is presently being brought about through our present-day government institutionalized schools. This incremental movement from a Constitutional form of government to a government of centralized power and secular severity, is being brought about through a massive assault on everything that America has stood for in the past. SEPARATION OF CHURCH AND STATE: They demand that a community of Christians accommodate a single Atheist in barring God from the classroom. They demand that a Christian must rent or employ people who crucify every tenet of religious belief that a person of religious faith holds. Separation of Church and State has come to mean the absence of religion in day-to-day affairs, and that government must be hostile to all matters of expression of faith. It means that people of genuine faith have no part in the workings of government. Religious morality and spiritual values are viewed as being defective, and must be suppressed. Justice Janice Rogers Brown -- a black woman -- is being opposed by liberals to an appointment to the D.C. Court of Appeals because she is too conservative. It is pointed out by People for the American Way who blasted her nomination, as did Charles Schumer, D-N.Y., the senator who is leading Democratic revolts against other Bush judicial nominations, that she opposed the court's 1997 decision allowing teenagers to obtain abortions without the consent of a parent or a judge. Thus, we can see that judges such as Brown are being denied their positions because they oppose governments intrusion into the matters of the family. THE LIVING CONSTITUTION: It is the belief of liberal activists that the meaning of the Constitution should be altered to suit society. This is the position of those who work to do away with the moral and spiritual fabric of the United States. These people don't believe that man's Rights are God-Given! They endeavor to deny the people their sovereignty, and turn back the hand of time by empowering government as the sovereign power -- thereby making people subjects to the state. Politicians such as Hillary Clinton D-N.Y., has even suggested that children should be permitted to sue their parents. It should also be pointed out that many of the liberal leftists idolize the Communist Cuban dictator Castro, who removes all children from the care of their parents at a young age in order to raise them up and indoctrinate them into the states Marxist anti-God philosophy. Thus, one of the obstacles that must be overcome is the Constitution. Those who attempt to alter the meaning of the Constitution, do not believe in its spiritual tenets. They do not believe that God has imbued man with certain unalienable Rights that are brought about by Natural Law and are self-evident. They believe that man derives his rights from government -- that they, as one of the three branches of government, have the right and obligation to determine how other people (their subjects) should live and think. Those who believe in this manner are not a part of the true American Experience. JUDGE MOORE - THE SACRIFICIAL LAMB: The soul who is presently living as Judge Roy Moore was an integral participant in the formation of our Constitution, and as such was/is imbued with the Laws that brought our government into being. Thus, the American people are presently at a crossroads: In the same way that the third and fourth century Christian Church had to choose between the true spiritual teachings of Yeshua, or the Pagan Jesus-god of the Roman Empire, the choice to enter a covenant with Rome severed the Church from it's spiritual essence and roots. In a letter to Pope Leo X on September 6th, 1520, Martin Luther wrote of the Christianity of his day, that the church, “…once the holiest of all, has become the most licentious den of thieves, the most shameless of all brothels, the kingdom of sin, death, and hell. It is so bad that even Antichrist himself, if he should come, could think of nothing to add to its wickedness” (Quoted in: The Great Thoughts; compiled by George Seldes). Thus, after entering into a covenant relationship with Rome, the people were cast into the dark ages where reading the Bible was a capitol offence punishable by death, and the powers of darkness reigned over all the land. But what few people today realize is the fact that this period of spiritual darkness was brought about by Law -- and these Laws that brought this great period of suffering and ignorance about was the killing of the original Ebionite community that was the dwelling place of the original disciples of Yeshua who had re-entered into the world at that time (see http://ebionite.com/prologue.htm ). Thus, this final action after the Church entered into a covenant with Rome, and then invoked the Laws that were imbued in the Ebionite Community they murdered in the name of the Jesus-god, cast the people into a hell that lasted over a thousand years. In much the same fashion, our Constitutional forefathers have entered into the world at the present time to either guide the country back to its original roots, or by virtue of their rejection invoke the Laws which will drive the people into a Stalinist/Castro type of government. If the people remain complacent or even embrace the liberal left and its Living Constitution that is defined by politicians, judges and our politically correct culture, then the rejection of of these Constitutional forefathers who represent the embodiment of the Laws that in the past brought forth great change in world governments, will swing the pendulum in the opposite direction. KNOWLEDGE OF LAWS AND PAST NOT NECESSARY: It is neither necessary or expedient for either Judge Roy Moore or other Constitutional forefathers to know their role at the founding of our Nation, or even their more distant past lives that they have lived. Judge Moore is a Fundamentalist Christian who would vehemently reject nearly every concept that is presented on every page of this web site. But this ignorance of both the Laws and Judge Moore's distant past is by design -- i.e., he would not be as effective if he knew what is called the Higher Mysteries of God. If Judge Moore knew his spiritual pedigree that he has achieved over the course of thousands of years as a seeker and disciple of Yeshua and TheWay, then he could not effectively fulfill his present role which is Divinely Orchestrated. Spiritually enlightened souls do not become lawyers -- they do not become politicians -- they do not seek to become a secular judge. And yet, by design, it was necessary that the Judiciary reject and condemn the witness of one of their own, so that if the Principles and Laws which Judge Moore embodies is rejected, our Constitutional form of government (by Higher Natural Law) could be done away with and the people plunged into another dark-ages type of socialist regime that denies its subjects their God-Given Unalienable Rights. So while it was necessary for Judge Moore to be ignorant with respect to his distant past and role as a forefather of our Nation, it was necessary for him to possess an original view of how the Constitution is supposed to be applied with respect to States Rights and the Rights of the People. This has been accomplished not only in the case of Judge Moore, but many others who are being denied what has been defined as Unalienable Rights that the government is Obligated to protect. And what are those Constitutional Mandates? In Judge Moore's own words: "Have we become so ignorant of our nation's history that we have forgotten the reason for the adoption of the Bill of Rights? It was meant to restrict the federal government's power over the states, not to restrict the states from doing what the federal government can do. The time has come to recover the valiant courage of our forefathers, who understood that faith and freedom are inseparable and that they are worth fighting for …" (Alabama Supreme Court Chief Justice Roy Moore). If Judge Moore was aware of his more distant past with respect to the foundings of our Constitution and as a disciple of Yeshua/Jesus, then he could not have risen to the position of Chief Justice of the Alabama Supreme Court. And while someone such as myself is also imbued with these same Laws, my purpose for entering into this life is purely spiritual. Therefore, someone such as myself would not be a suitable vehicle for presenting these original elements to the Federal Courts as is being done by Judge Moore. What I say is meaningless to secular judges -- and I can easily be explained away from their legal perspective. But this is not the case with Judge Moore who has successfully delivered the essence of Constitutional thought. In Part I of this series I demonstrated that it was the intension of our Constitutional forefathers that religious and other communities would exist and dwell under the umbrella of secular protection. We hold these truths to be self-evident, that all men are created equal, that they are endowed by their Creator with certain unalienable Rights, that among these are Life, Liberty and the pursuit of Happiness. --That to secure these rights, Governments are instituted among Men, deriving their just powers from the consent of the governed, --That whenever any Form of Government becomes destructive of these ends, it is the Right of the People to alter or to abolish it, and to institute new Government, laying its foundation on such principles and organizing its powers in such form, as to them shall seem most likely to effect their Safety and Happiness. Prudence, indeed, will dictate that Governments long established should not be changed for light and transient causes; and accordingly all experience hath shewn, that mankind are more disposed to suffer, while evils are sufferable, than to right themselves by abolishing the forms to which they are accustomed. But when a long train of abuses and usurpations, pursuing invariably the same Object evinces a design to reduce them under absolute Despotism, it is their right, it is their duty, to throw off such Government, and to provide new Guards for their future security. The phrase "the Laws of Nature and of Nature's God", makes reference to this higher reality that our forefathers were aware of. That as the Divine Offspring of the One God, it was "self-evident that all men are created equal, that they are endowed by their Creator with certain unalienable Rights", and that these Rights are absolutely necessary for the prodigal sons to evolve to perfection and return to the Edenic Kingdom of Origination. Moreover, the very purpose of government is to "secure these rights", and to actively assist all people to pursue their individual destiny. And when government becomes "destructive of these ends, it is the Right of the People to alter or to abolish it". This is a God-Given Right! Yeshua/Jesus did not come to promote belief in the Messiah/Christ - neither did he come to promote the worship of Messiah/Christ - Yeshua/Jesus came to teach the people TheWay to become Messiah/Christ, and fulfill the vision of a Kingdom of Priests and a Holy Nation of Anointed (Messiah/Christ) Disciples who are set aside for the service of the Most High God that Yeshua taught was the Father of all of mankind. The path of TheWay could not be walked by many Jews because they were carnal in their perception of the Law (Torah), and could not use the Key of Knowledge to open the inner door to the Kingdom. In like manner, the majority of the Roman and Greek followers who were too Pagan to embrace the teachings of Yeshua, were not interested in a life of genuine change and spiritual transformation, so they made Jesus their God so they didn't have to pick up their own cross and follow in TheWay. Thus, the Church itself betrayed and crucified Messiah/Christ when it immersed itself in the way of the heathen, and worshiped the messenger instead of imitating the pattern and example that Yeshua set as the required standard for all those who called upon the name of the Lord. The Good News is that once you understand and are willing to live in accordance with the Original teachings of the New Covenant, the Promise is that you will Know the Truth for yourself as you are permitted entrance into the Kingdom within you (Lk 17:20-21). The below web sites are written in the name of Allan Cronshaw, which is my birth name in this present life. The manner in which these other web sites are composed is very different than on this one -- wherein, on these other web sites there is an attempt to document and demonstrate every proof and concept of TheWay using a multitude of resources and biblical verses -- while on this web site there is no other authority than Jacob writing to you as the Brother Of Yeshua who was the leader of the Hebrew/Christian movement of TheWay. In the recently discovered Gospel of Thomas it is written: (12) The disciples said to Jesus, "We know that you will depart from us. Who is to be our leader?" Jesus said to them, "Wherever you are, you are to go to James the righteous, for whose sake heaven and earth came into being." So to once again restore the teachings of TheWay which is today known as Christianity, the Lord has sent Jacob/James, the Brother of Yeshua/Jesus, back into the world in order to guide the faithful flock into the Truth, the Light, and the Kingdom within (Luke 17:20-21). 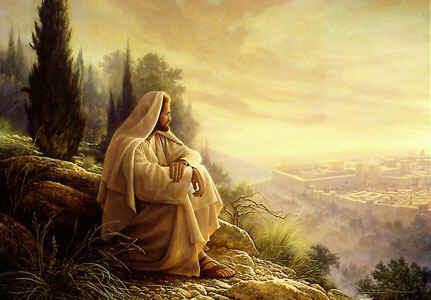 It is there that my brother Yeshua/Jesus awaits you. The above warning with respect to the predicted corruption of Yeshua's teachings is further stated in the first century writings known today as the Clementine Recognitions where it is written: "Our Lord and Prophet, who hath sent us, declared to us that the wicked one, having disputed with Him forty days, and having prevailed nothing against Him, promised that he would send apostles from amongst his subjects, to deceive. Wherefore, above all, remember to shun apostle or teacher or prophet who does not first accurately compare his preaching with that of James, who was called the brother of my Lord, and to whom was entrusted to administer the church of the Hebrews in Jerusalem, — and that even though he come to you with witnesses: lest the wickedness which disputed forty days with the Lord, and prevailed nothing, should afterwards, like lightning falling from heaven upon the earth, send a preacher to your injury, as now he has sent Simon upon us, preaching, under pretense of the truth, in the name of the Lord, and sowing error. Wherefore He who hath sent us, said, ‘Many shall come to me in sheep’s clothing, but inwardly they are ravening wolves. By their fruits ye shall know them.’"
Again it is warned by Clement: "Wherefore observe the greatest caution, that you believe no teacher, unless he bring from Jerusalem the testimonial of James the Lord’s brother, or of whosoever may come after him. For no one, unless he has gone up thither, and there has been approved as a fit and faithful teacher for preaching the word of Christ, — unless, I say, he brings a testimonial thence, is by any means to be received. But let neither prophet nor apostle be looked for by you at this time, besides us. For there is one true Prophet, whose words we twelve apostles preach"
As predicted, the ministers of Satan have succeeded in altering the teachings of my brother Yeshua, and continue to lead many into the abyss of darkness. But have no fear my brothers and sisters, for the teachings of TheWay has been restored so that you might be able to overcome the darkness, and enter the Kingdom of Light within you (Luke 17:20-21). The Brother Of Yeshua/Jesus: 2000 years ago I lived as Jacob who many all James, and I was known as the Brother of Yeshua and the first leader of the New Covenant movement of TheWay which is today known as Christianity. I was sent back into the world to restore the teachings of my brother Yeshua to their original spiritual essence, and to guide you in TheWay that is "narrow" so you will be able to open the "strait gate" within you and enter the Kingdom that Yeshua declared must be attained through the second birth. The Ebionite HomePage: If you call yourself a Christian, Jew, Messianic believer, Evyonim, Nazarene or Muslim, then it is imperative that you learn of the Ebionites who are True Spiritual Israel -- They are the Poor Ones to the ways and thinking of this world -- The Ebionites were the Israelites of the Nazirene Vow They are/were the Genuine Disciples of Yeshua/Jesus who are in the world and not of it! 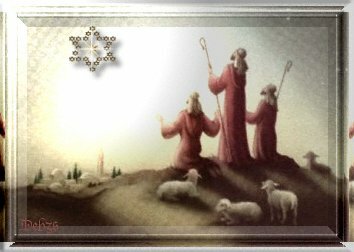 The Nazirene HomePage: The original spiritual teachings of Yeshua/Jesus as practiced by the people of The Way who where known historically as the Essenes, Ebionites, and Nazirenes. The teachings of The Way are Spiritual -- and provide a means to open the "strait gate" into the Kingdom while still physically alive in the body/vessel. The Messianic Nazirene Disciple of TheWay: While many teach that believers are saved by faith, the journey of the disciple of Yeshua is one of absolute dedication to The Way. The disciple who becomes a brother to Yeshua must live as he lived, and become a Nazirene who is consecrated and wholly set apart as they walk the Narrow Way, enter into the Kingdom through the Strait Gate, and learn directly from the L-rd -- the One Rabbi and Teacher of the Mysteries of G-d.
TheWay of the Nazirene Rings HomePage: This is the Ring Home page of TheWay of the Nazirene. It will provide you with a listing of all the Nazirene Rings, and a brief description of the importance of walking in The Way and entering the Kingdom of God before physical death occurs. Come visit and learn the essence of the teachings of Jesus/Yeshua that were lost by the institutionalized church. The Long Island Mystic and Nazirene Disciple of TheWay: The Organizational HomePage of The Nazirene -- the Long Island Mystic, Evangelical Minister, and Prophet of TheWay -- who God bestowed upon him the gift of the recall of his previous life as a Disciple and Brother of Messiah/Christ -- and thus has re-entered this world at the present time in order to restore the Spiritual Essence and Teachings of his Master, Yeshua/Jesus. The Kingdom is within! And we must sojourn the narrow path of TheWay, enter the "strait gate" to the Inner Spiritual Temple, while still alive in the physical body. Thus, modern Christians have misunderstood the words of Yeshua -- he never said that we must physically die to enter the Edenic Kingdom of Origination -- but rather, we must die to the culture, mindset and ways of this world in order to enter the Kingdom! Our Constitutional forefathers were Diests who understood the necessity for freedom and the right to live in a segregated community with like minded people. That we have permitted government to homogenize our thinking, and deny our fundamental rights, has alienated us from the knowledge of our true higher spiritual reality.